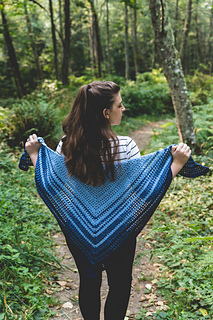 This adult sized crochet shawl can be worked up in a weekend and is so very easy! 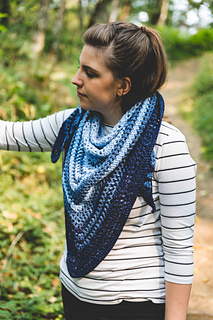 It only uses 2 simple stitches, easy repeated rows and a stitch chart! It is a great project for those still new to the craft - very beginner friendly. 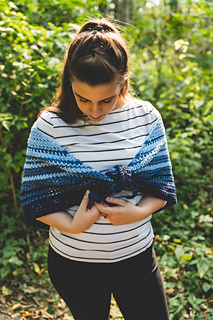 It is the perfect size and weight - not too chunky but soft, breezy, and warm. Pattern is one size fits most adult women with instructions on how to modify. This is an easy level crochet pattern, and the techniques you will need to know are double crochet, skipping stitch, Chain stitch, and slip stitch.